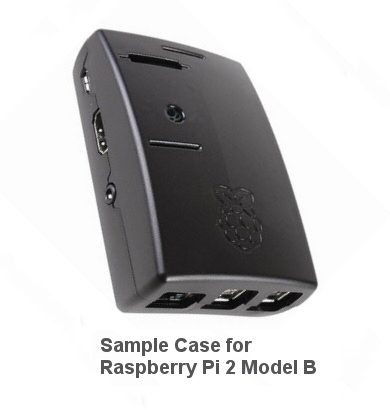 The Raspberry Pi® is a low cost, credit-card sized computer that uses an HDMI computer monitor or TV, and a standard keyboard and mouse. It is a very capable device that enables people of all ages to explore computing and to learn how to program. 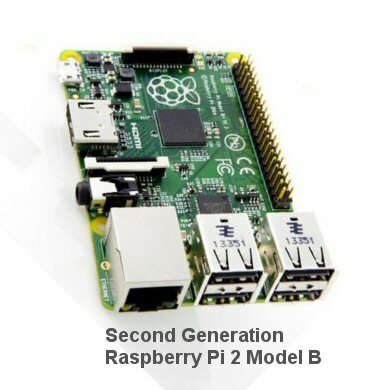 It has now evolved into a second generation product (Raspberry Pi 2 Model B), and we are convinced it can function as a home automation controller just as well as other dedicated units such as Vera®, Wink®, Homeseer®, SmartThings®, etc. Editor's Note: We now have the new Pi 3 Model B, with built-in Wifi (worked out of the box ) and Bluetooth 4 Low Energy (BLE). As a home automation hub, it does not depend on the cloud for operation, something we feel is a very important consideration when setting up an automated system. We certainly don't want our home to stop working if the internet connection fails, especially if it was controlling our greenhouse too! Were were, quite frankly, blown away when we loaded the Noobs operating system installer onto the micro SD card, plugged in our HDMI 12 ft projector screen, connected the Internet cable and booted it up for a first look. We selected the Raspbian Operating System, and after installing this automatically, it booted straight into a GUI (Graphical User Interface) at a superb resolution of 1080P, replete with browser, email program, office suite, programming tools, text editor and a whole host of other features and programs we haven't explored yet. Raspbian is the officially supported version of Linux (based on Debian), but you can buy very inexpensive micro SD cards (they are about the size of a thumbnail) and install other operating systems such as Ubuntu Mate, OpenElec, Risc OS, etc. We bought a 16 GB card for about $12, but that price will continue to drop. Because it has an ARMv7 processor, it can run the full range of ARM GNU/Linux distributions, including Snappy Ubuntu® Core. If you are a casual user of a laptop or desktop machine, this baby is a very suitable replacement, just as a general purpose computer. If you don't own a computer, the Pi would work just fine as your entry point into the world of computing. These software applications set up the Pi as a web server on your local network, and you can access it with any browser on any device in your home, or from anywhere on the Internet (if you decide you want remote capability). The home automation software runs in the background and you can still use it as a functional desktop for browsing, email, etc. while the automation system is running. You can find out where to buy the Raspberry Pi unit by searching for this phrase: "buy a pi [country]"
We bought a kit, complete with power supply, case, and micro SD card with Raspbian on it for about $65 US. Then we accidentally broke the SD card in half when we put the Pi into its case, so we bought a new 16 GB micro SD card ($12), and went through the process of downloading NOOBS and installing Raspbian from scratch, which was very easy to do. The following article series is about using the BroadLink hub with its provided software that runs as an app on your phone. If you set this up first, it will help with the Pi setup, if you do try it with a Pi later (you can use the already learned codes).